Read 6 customer reviews about Banks Superchargers & Turbochargers that have an average rating of 4.5 to find out what product is best for your vehicle. 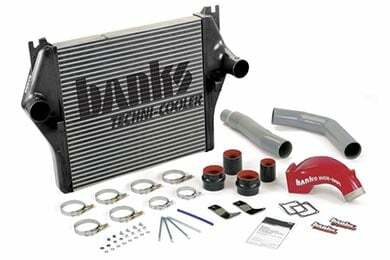 The banks techni-cooler system was every thing that banks said it was. It was easy to install, fit right into place with NO cutting and took about 4 1/2 hours to complete.The best part was taking it for a ride, you could fell the differance right out of the gate.I have not pulled my fifth wheel yet but can not wait to try it out. AutoAnything were great to deal with, the banks techni-cooler system came on time like they said it would.If you want more HORSEPOWER deal with BANKS and if you want it on time go through AutoAnything.com. Reference # 766-174-445 © 2000-2019 AutoAnything, Inc.